Destroyed Soviet T-26 light tank in the Western Ukraine. T-26 – Soviet light tank. T-26 light tank was designed based on “Vickers Mk.E» English tank (also known as the “Vickers 6-ton”), which would be purchased by the Soviet Union in 1930. 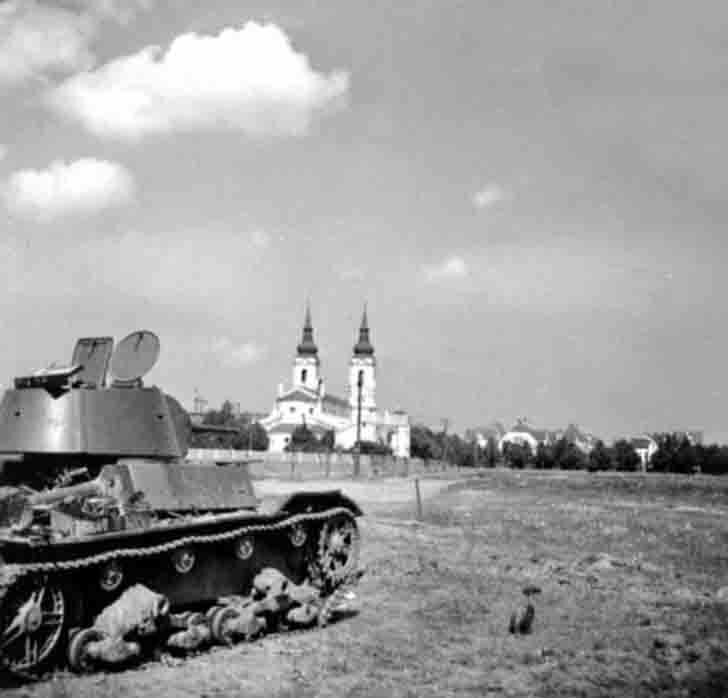 T-26 light tank was accepted for service in the Soviet Union in 1931.